The metro is a swamp. I checked the weather last night—89 degrees with 70% humidity and a 30% chance of rain. It’s impossible to dress appropriately for this weather. I wait through the first train that comes. It’s packed and I don’t want to have to stand in other people’s sweat. I get to work. My desk is at the opposite side of the office as everyone else, but sometimes people make small talk as they walk by me. They don’t slow down. I read about health policy. I realize that putting together the morning issue updates might make me one of the more up-to-date people in the office. This scares me. I hope it’s not true. The morning drags, but I have plans at noon. Last week, a classmate invited me to lunch. I checked my work schedule to make sure I wasn’t on any calls or attending any meetings or events—nothing. I agree. He suggests Old Ebbitt Grill because it’s midway between our offices. I agree. He sends me a Google Calendar invite. I accept. The food is good. We talk about our weekends. Mine sounds more eventful, but I envy his. After splitting the check, we part with a hug and a promise to do it again soon. I smile as I walk away because we aren’t just saying that. I get back to work. It’s a big day. An important bill is coming to a vote and it looks good. One executive jokes that I’ve single-handedly put the bill through. Later, my boss introduces me as the girl who does all the work. I wonder if they think I’m a workaholic. I wonder if I am. I ride the metro home. 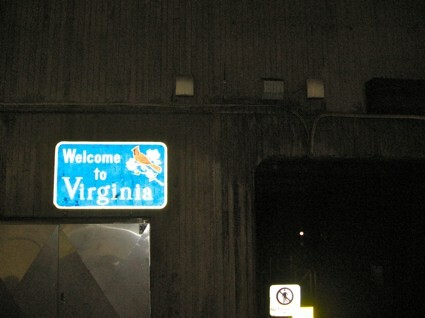 The sign as I get off at my stop says “Welcome to Virginia”. I’m a Virginian now, but I can’t decide if that means I live in The South. A friend comes over for dinner. It’s nice not to be alone. Over plentiful heapings of chicken and orzo, I talk about my brothers. I haven’t seen them in almost 6 months. If someone told me last year I would go that long without seeing them, I would have never have believed them. I wonder what they are doing. “Looking in the mirror,” I think. I smile. I look in the mirror. I’m vain. The Brits said that too. I didn’t deny it. I had a can of soda with dinner and I feel the caffeine. I work off the jitters by making macaroons. I don’t have any bar chocolate or chips so I melt M&Ms with soy milk and butter. It’s good. I’m proud. I watch basketball with my friend. He doesn’t stay for overtime. Even with the chatter of the TV, the apartment seems quiet. I open my computer, deciding to write a different kind of post. I finish it and hope that no one—and everyone—read it. Cheers, to no one and everyone.